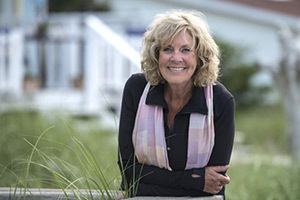 Sally Armstrong, known as the war correspondent for the world’s women, has been following the action on the front line for women and girls in Bosnia, Egypt, Congo, The Middle East, Afghanistan and America for twenty-five years. She was the first journalist to bring the story of the women of Afghanistan to the world and works tirelessly to expose the abuse of women. A former high-school gym and English teacher, Sally began her journalism career at Canadian Living magazine, going on to become Editor-in-Chief of Homemakers. Convinced that her readers deserved more than recipes and fashion advice, she quickly gained a reputation for her moving, in-depth, and unflinching coverage of women’s untold stories. Her eye-witness reporting has earned her many awards including the Gold Award from the National Magazine Awards Foundation and the Author’s Award from the Foundation for the Advancement of Canadian Letters. Ms Armstrong is a four-time winner of the Amnesty International Canada media award, holds ten honorary degrees and is an Officer of the Order of Canada. She was a member of the International Women’s Commission a UN body that consists of 20 Palestinian women, 20 Israeli women and 12 internationals whose mandate is assisting with the path to peace in the Middle East.